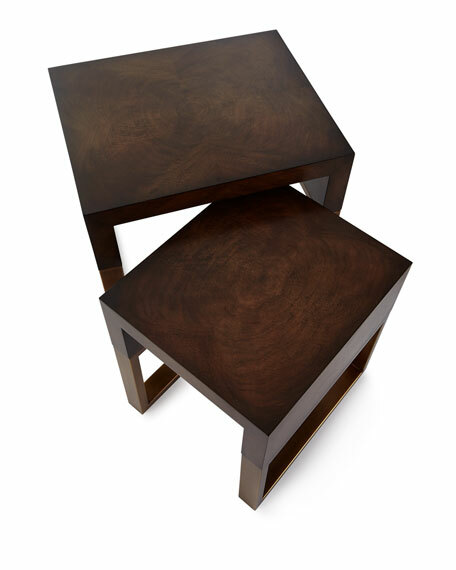 Set of two handcrafted nesting tables. 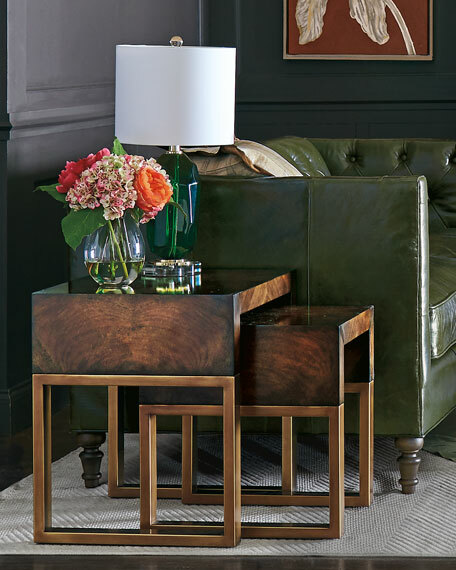 Veneered in European Walnut curl and finished in a rich dark walnut. 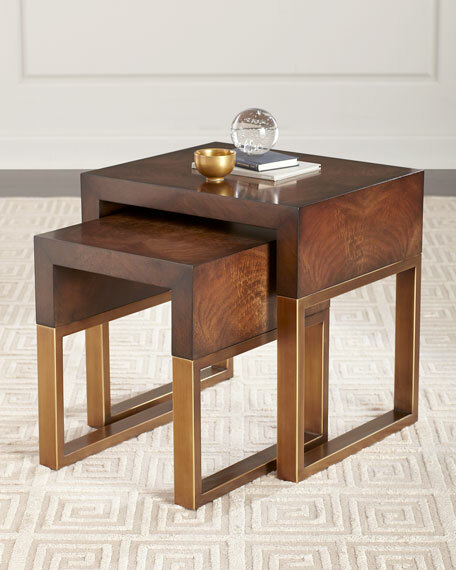 Rectangular frame steel bases finished in Aztec gold. Glued, mortise and tenon, bolted construction. 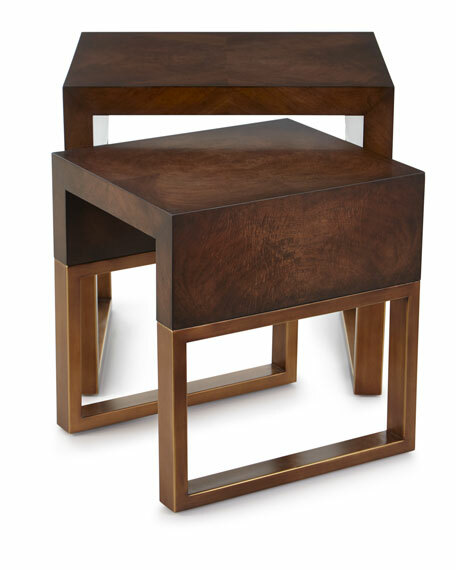 Small table: 18"W x 15.75"D x 19"T.
Large table: 22"W x 18"D x 22"T.
For in-store inquiries, use sku #2688865.